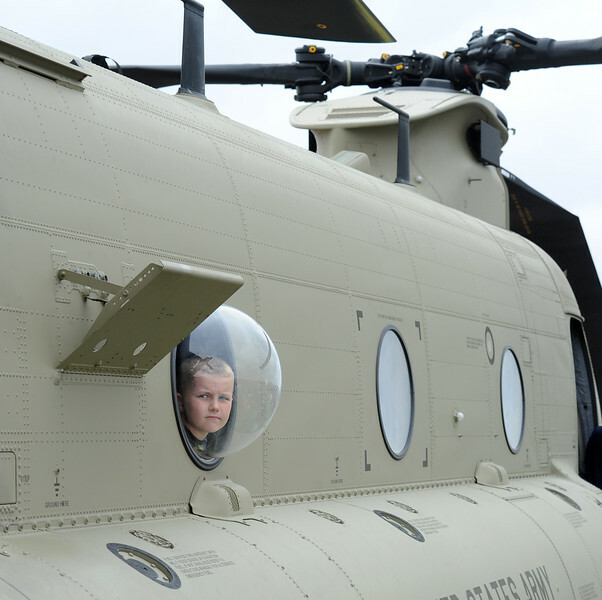 Bennett Gorgal, 8, Moline, looks out a bubble window on a U.S. Army helicopter at the Quad City Air Show Saturday, May 9, 2015, at the Davenport Municipal Airport in Mt. Joy. The 29th annual airshow continues Sunday.